Journey with us through this meditative and enchanting sphere of the Sound and Scent: a transformational way to enhance your emotional and physical wellbeing. Sound and scent are the oldest ways of healing and have been used for thousands of years in meditation, ceremonies and rituals. By utilizing the toning effects from the sounds of different instruments as well as the chanter’s voice, these rituals produce dramatic results and profound effects, awakening memories of wholeness and entraining the body towards greater balance. 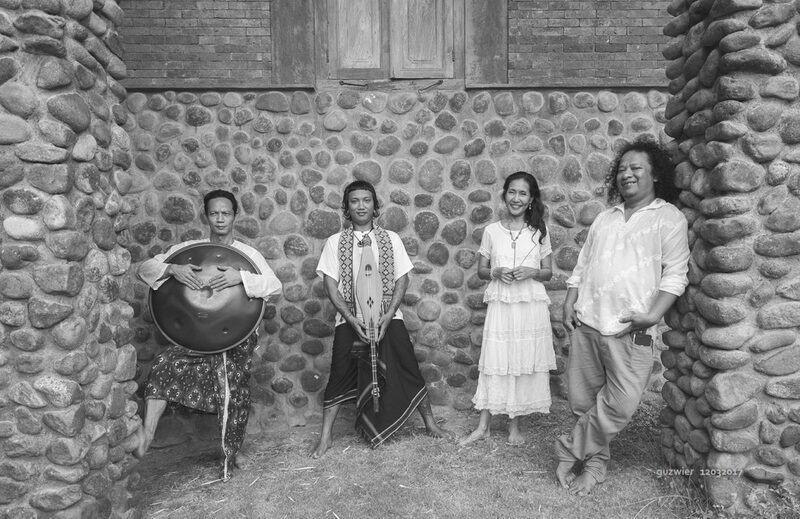 Jane Chen , Barok, Ajat Lesmana, Catur S. klana, and their guest musicians are a group of multitalented artists and who share the same passion. Using a set of seven metal sound bowls, the Didgeridoo, a 432 hertz Hang, flutes, strings, a violin, drums, and other instruments, they perform 15th century Mantra songs, enhanced by Pure Essential Scents that heighten the meditative experience while cleansing your energy.